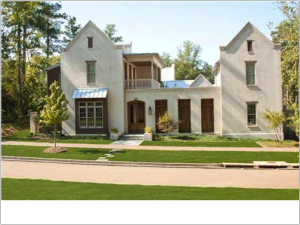 Designed as a traditional neighborhood development, The Town of Lost Rabbit is a 260 acre master-planned community located on the Ross Barnett Reservoir. Comprised of three distinct districts, the Lakes District, the Garden District, and the Town Center, Lost Rabbit provides residents with a variety of opportunities for living, work, and recreation. NEO’s Scope of Work. NEO’s team provided all planning and implementation efforts for this fiber optic project. NEO’s team wrote the business, marketing and financial plan for this FTTH network and designed, engineered, built, and operated the FTTH network, which provides data, security, video, and data services along with a choice of traditional voice or VoIP phone service. NEO’s team provided bid documents, RFPs, vendor and service provider management, as well as negotiated all collocation and shared compensation agreements. NEO’s team was responsible for creating and managing the budget, construction draws and compliance requirements. Our team members were responsible for all financial activities for the network implementation; including preparation of financial reports, draw requests, bookkeeping, accounting, asset and inventory management and reporting and managing all milestones, key outcomes and activities. The Result. The installed infrastructure’s large bandwidth supports voice, Gigabit data and Internet services, cable TV and other applications like streaming video, music and movie downloads, and large file sharing. Cspire purchased the FTTH network in 2009 and offers Gigabit services, a very robust 200 channel HD video offering, wi-fi, cellular service, smart grid and voice services. It continues to be a technology amenity that fosters economic development, higher home values, better education and healthcare services and a differentiating factor for the entire development.